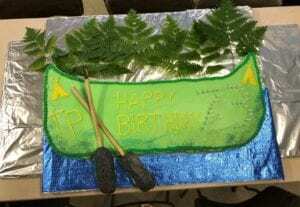 What Does Camp Birthday Really Mean . 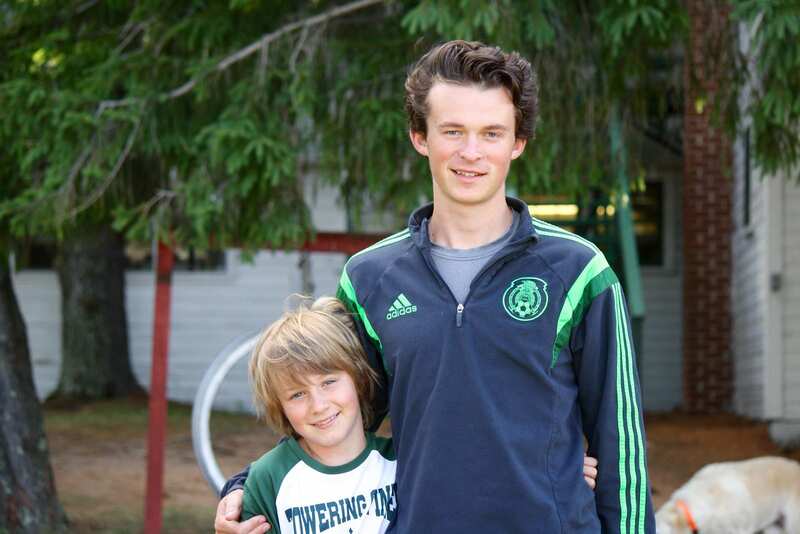 . .
Camp Birthday is a long-standing tradition here at Towering Pines, and this year was no exception. 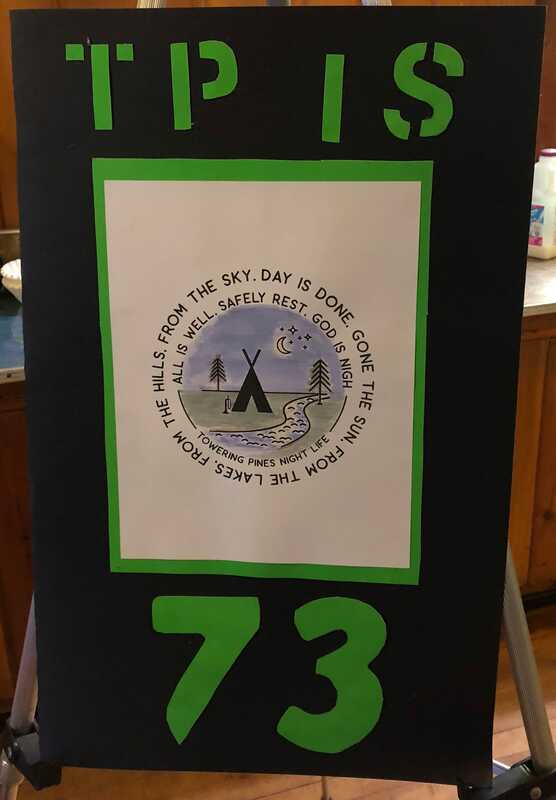 A lot goes on behind the scenes in order to make this celebration a success including: making the birthday badges, creating the TP birthday card, and baking and decorating the amazing birthday cake. 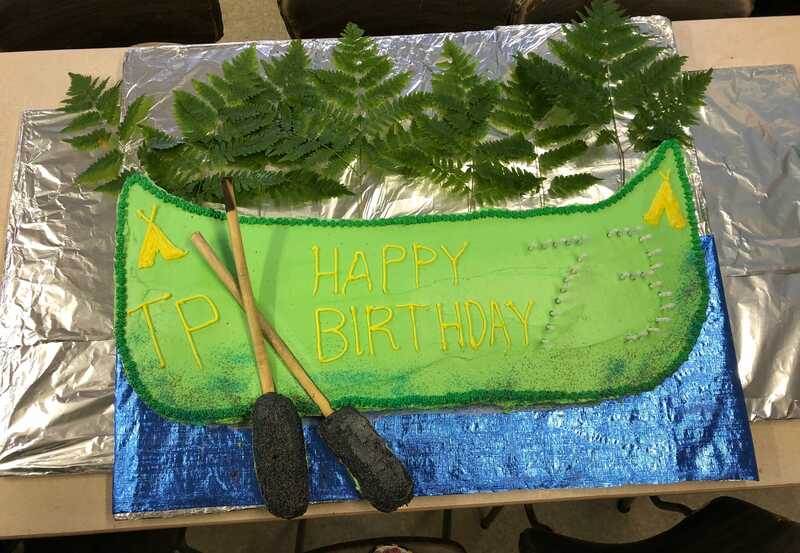 We celebrate how many years each camper has been at Towering Pines, and, of course, sing “Happy Birthday” to TP and eat the delicious cake!! 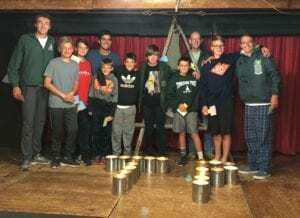 After dinner campers watch old TP videos and then have a special ceremony to celebrate those campers, counselors and staff who have been at TP for five years. Jeff presents each camper with his 5-year-pin and in the same tradition as his father, he shares a quote with each of them. These quotes are both meaningful and reflective for each camper and counselor who receives them. Observing the faces and emotions of the receipients when these quotes are read, truly indicates the honor felt by this experience. 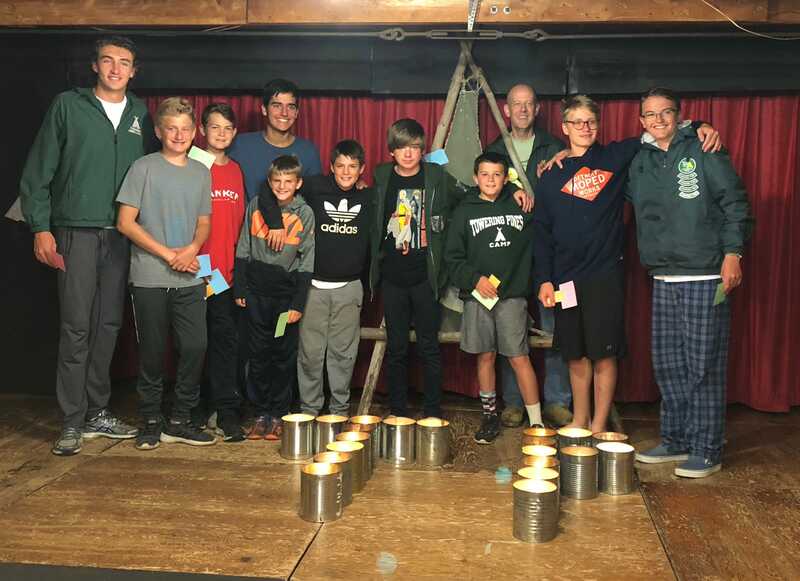 The camp birthday badges and the 5-year pin ceremony are symbols of not only the passage of time, but also, the growth and maturity that accompanies the experiences we have while at camp each summer. Young boys become adolescents, adolescents become teens and these teens later become young men. 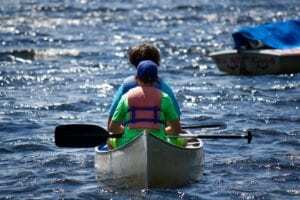 And as they make this progression, they have the other campers, counselors and staff walking the journey with them for guidance and assurance. It’s the best case scenario as the kids are able to challenge themselves, step out of their comfort zone and do so while being supported and encouraged by so many. 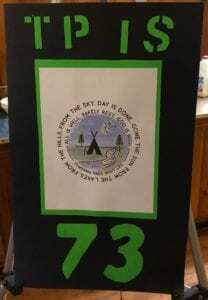 I remember like it was yesterday when I received my 5-year medallion back at Camp Woodland many years ago. Mrs. Jordan read the toast she had written for me, and as she handed me my medallion with that very familiar grin, I felt a surge of pride and emotion. I knew that this moment was extremely special and one that would stay with me and carry me into the world for many years to come. 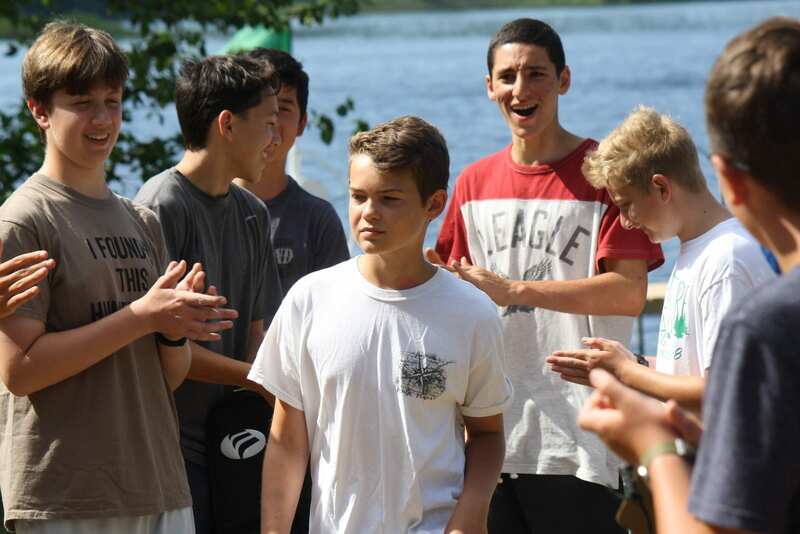 These are defining moments that happen at camp. 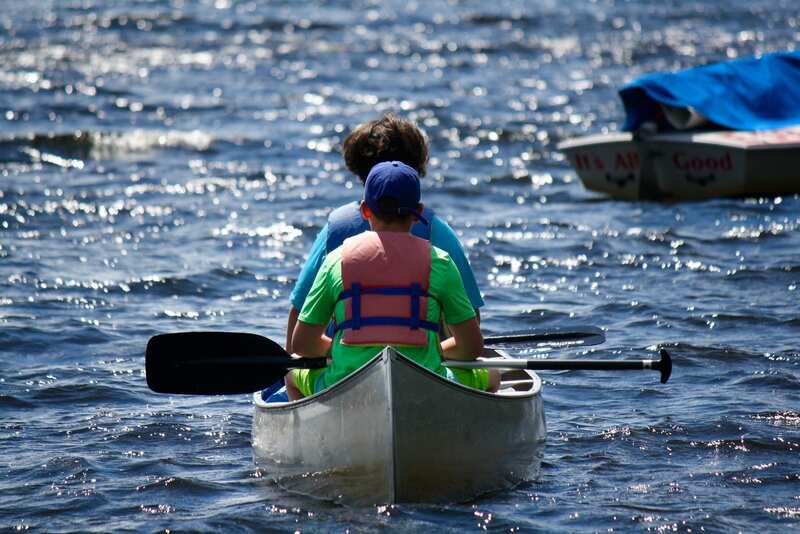 They are memories we will have with us forever which are a continuous reminder that because of the friends we make at camp, we will never be alone.